I just got my hands on a working version of the program I used to rip the Rayman 1 sprites from the PSOne version. 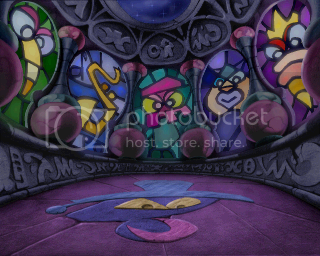 Now, I'll be able to rip the backgrounds and the sprites from Rayman 1 and the Rayman 2 beta level at the end of Rayman 2 for PSOne. Note: When updating this list, the latest images are in img-tags, the rest of the images are links. 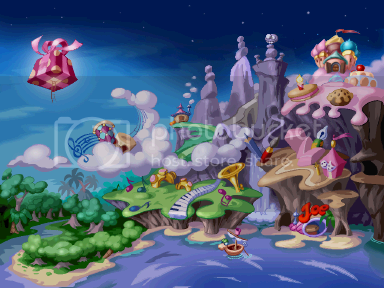 RAYMAN 2 - BETA LEVEL - Completely finished! The background and the tiles only took me a few seconds, but the sprites took me a lot of time - I think an hour or so, mainly because the sprites use many palettes, and every time, I have to search for the palette ( I can easily find them though... ). 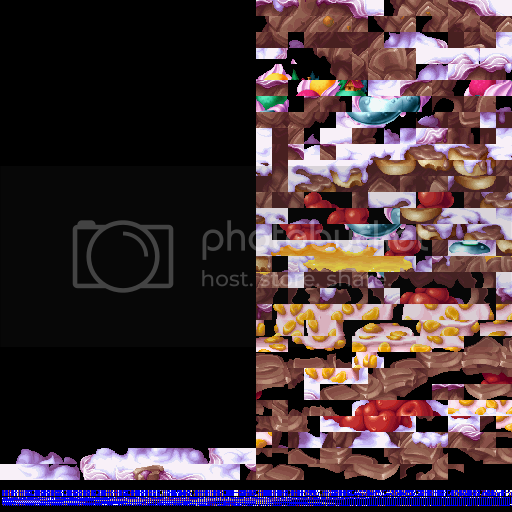 Do you want your R1 background/sprite ripped? Just use ePSXe, the playstation emulator, and the Rayman 1 CD ( or ROM ) to go to that level, and make a savestate. Go to ePSXe's folder, to sstates, and find the right savestate you made by looking at the dates. There are two files, a *.pic file and a file with a number as extention ( *.000, *.001 , etc. ). I only need the file with the number, so send that file to me with Yousendit ( my email is Spike_The_Norn@hotmail.com ), or send it to me in another way. I'll rip what you want. ... but of course, when I have time, and I'm bored, I'll also rip some ( useful? ) things myself. Last edited by Master on Wed Mar 26, 2014 12:25 am, edited 10 times in total. Reason: Added a link to Droolie's RO Sprite Pack, it's hard to find on a whim. Apart from a few that have gone a bit trippy, you win for ripping these! Drolpiraat you are so AWESOME!!! Can I ask you to get the background and the foreground tiles aswell? @ Bloodgrey: Yeah, I was going to do that, and it will be done today. 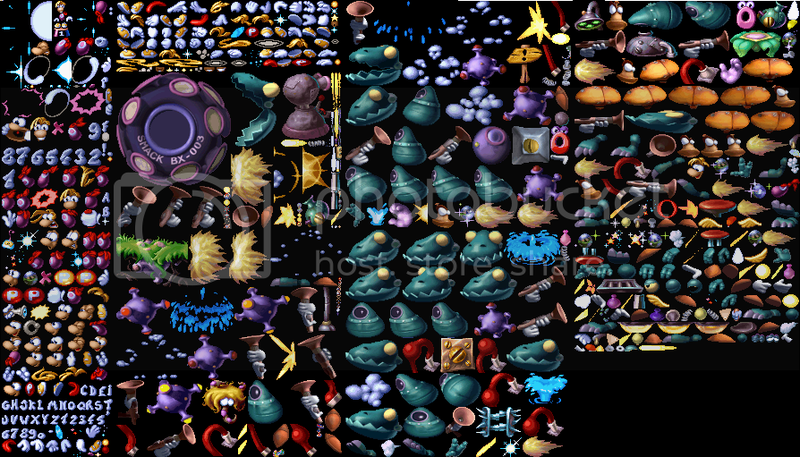 And the "trippy" sprites will also be fixed. Drol, you are supremely awesome. good work. Updated with the fixed sprites, and all the tiles. Those sprites are confusing though. EDIT -> Background updated as well... there was something red in the lower left corner, which is now gone. But if you want to use them, please wait a little longer. 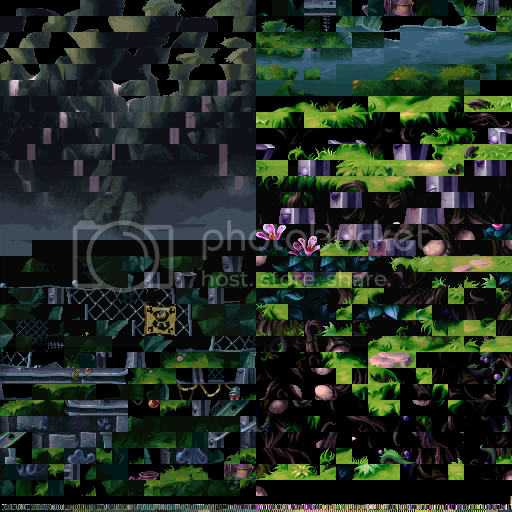 Photobucket converted my images to *.jpg, which means bad compression, which means that I'll have to save them as *.png's. By the way, sorry for the double post, but this is news. Wow, I've never seen this sign with a music note before. Hey, i can use those sprites... YOINK! Okay, I guess. If you use them, please give credit to me ( I ripped them ) and Ubisoft ( they made them ) though. Drolpiraat wrote: Okay, I guess. If you use them, please give credit to me ( I ripped them ) and Ubisoft ( they made them ) though. 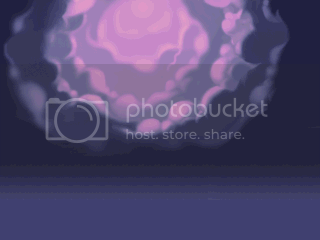 Indeed, they WERE blurry, because Photobucket converted the bmp's to jpg's, but I updated it so they are png's... Are they still blurry now? I allready used the first sprites to make another fake rank. But i'm still gonna check. EDIT 2: I'm an idiot! I used to image in Hunch's post! EDIT 3: They are perfect! Maybe it had something to do with Band Land... or an abandoned feature?